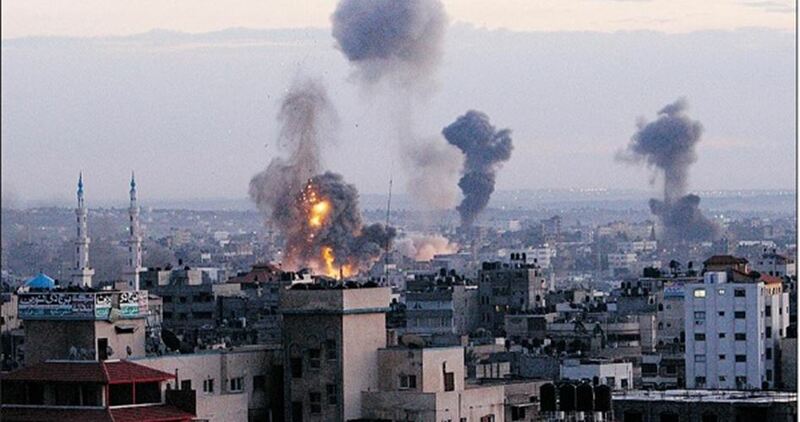 On 14 November 2012, Israel launched “Operation Pillar of Defence” against the Palestinians living in the Gaza Strip. Over the following eight days, almost 175 Palestinians were killed and more than 1,000 were injured. Five years later, Gaza is still subject to Israeli aggression, in violation of the terms of the ceasefire agreement. The bombardment of the Gaza Strip continued over the weekend, with the Israeli navy firing into the enclave as well; this was a first and the naval barrage killed a 13 year-old girl and her uncle on Sunday evening. Two buildings housing journalists from Sky News, ITN, Al-Quds TV and Press TV were also hit in an Israeli attack, injuring several reporters. The NGO Reporters without Borders condemned Israel’s action, and the Foreign Press Association issued a statement expressing concern about the strike, pointing to a UN Security Council statement that forbade all attacks against journalists in combat zones. That day also witnessed the highest death toll of any single strike during the operation, when a missile destroyed the family home of Jamal Mahmoud Yassin Al-Dalu, killing twelve people; ten of his family members, including five children and an elderly woman, plus two of the family’s neighbours, including another elderly woman. Israel later admitted that the strike on the residential building had been intentional and that the target was Mohamed Al-Dalu, a police officer who was killed in the attack; neighbours insisted that he had no political affiliations. Over the next few days, the Israeli bombardment killed dozens of people in Gaza, while several people were injured in Israel as a result of rockets fired by the beleaguered Palestinians. US Secretary of State Hillary Clinton arrived in Tel Aviv on Tuesday 20 November, to try to promote a ceasefire. She discussed the volatile situation with Israeli Prime Minister Benjamin Netanyahu but did not meet with Hamas, due its designation by the Americans as a “terrorist organisation”. The next day, Egyptian Foreign Minister Mohammed Kamel Amr stood alongside Clinton and announced that a ceasefire in Israel-Gaza hostilities would take effect at 9pm local time. The truce came after hours of intense shuttle-diplomacy involving Clinton, as well as the then UN Secretary-General Ban Ki-moon. Before the announcement, attacks rocked both sides of the border. Inside Israel, a bomb blast on a bus in central Tel Aviv injured 28 people, three seriously. In Gaza City, the bombing met with approval from Hamas spokesman Sami Abu Zuhri, who called it revenge for civilian deaths in Gaza in recent days, particularly that of the Al-Dalu family. Israeli bombs rained down on the territory in response. After the Israel occupation forces agreed to a ceasefire, the residents of the Gaza Strip enjoyed their first peaceful night in a week. Four Israelis and some 174 Palestinians, 107 of whom were civilians, were killed in the eight-day conflict. Netanyahu declared the Israeli offensive to be a success, saying that his forces had dealt a painful blow to Hamas, destroying thousands of rockets and killing many “terrorist commanders”. Hamas also claimed victory, despite the Palestinian losses. As per the ceasefire agreement, Israel was required to “stop all hostilities in the Gaza Strip land, sea and air including incursions and targeting of individuals.” The same was required from the Palestinian factions. However, Israel’s regular incursions against civilians in the Strip as well as the continuing blockade, mean that, five years later, the Palestinians in the enclave are still not at peace. 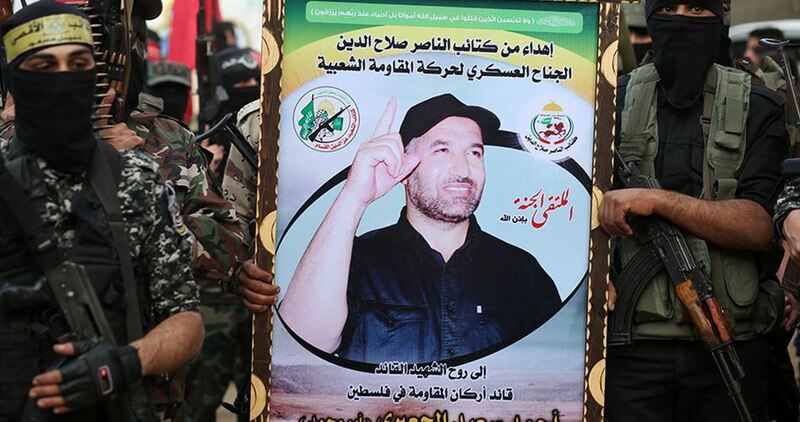 Dozens of resistance fighters affiliated with the armed wings of all Palestinian factions in the Gaza Strip organized a parade on Tuesday evening in commemoration of the al-Qassam leader Ahmed al-Jaabari. The parade was organized in front of the house of martyr Ahmed al-Jaabari, commander of the Qassam Brigades the armed wing of Hamas, who was assassinated by Israel in 2012. Al-Jaabari’s assassination triggered an eight-day war on Gaza Strip, during which hundreds of civilians were killed and injured in the besieged Strip. The home next to Fatima’s that was bombed. During the 2012 Zionist massacre in Gaza, named by the occupation as Operation Pillar of Defense, many buildings near Mohamed’s home were bombed. 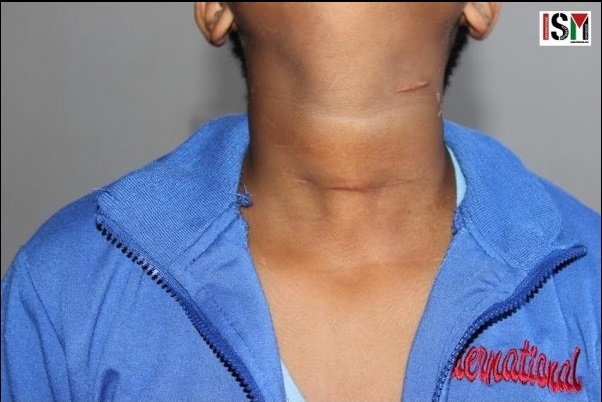 Less than a year after the aggression, while playing with him, Mohamed’s mother found a lump in his neck. At this time he was eight years old. They went to Shifa hospital, where he was diagnosed with Thyroid cancer. There he underwent the first surgery, but the operation was not successful. After that he was allowed to travel to the Palestinian territories occupied in 1948, in order to be treated in the Hospital of Haifa. Where he underwent a second surgery and received radiotherapy, unavailable in Gaza. The Palestinian Authority pays the treatment to the Israeli hospital. For this reason, according to Mohamed’s family, the Palestinian Authority tries to prevent every journey of Mohamed from Gaza to Haifa’s hospital. As Mohamed’s mother says, the Israeli doctors told them that this kind of cancer is due to the bombings near their home. They also told her that in 2016 the cancer rates in Gaza will rise 70% more, and that for the following 4 years it will keep growing. Since the 2012 aggression Mohamed’s father has developed asthma as well. In 2014 Mohamed’s home was attacked by Zionist warships. Luckily they weren’t at home in this moment. Mohamed’s family referred ISM to Fatimah, a 50 years old woman, mother of six children, who lives near them. During the 2008 massacre, a mosque, a government building and a home were bombed next to her house. Four years ago she was diagnosed as well with thyroid cancer. The two oncologists interviewed by ISM in Shifa Hospital and Rantisi Children Hospital, in Gaza, agreed that these kinds of cancer are due to the Zionist bombs, and explained that they were very rare before the massive aggressions against the Gaza Strip. Note: The names have been changed, as Mohamed and Fatimah are afraid of losing the permission to leave the Strip to receive the treatment.